4. Evaluation and modification of existing tunnel dryer for better adoptability under Sikkim condition Mr. S. M.
Powered potable pit digger, manually-pedal operated paddy thresher, manual winnower and powered tree pruner were evaluated and introduced/recommended as the ergonomically designed package of equipment for cultivation of agricultural/horticultural crops in Sikkim. Improved package of animal drawn equipment namely multipurpose tool frame with attachment, clod crusher-leveler-planker-puddler, single row and two row multi crop seed drill, zero till seed drill (for buck wheat), improved maize planter with yoke/harnes, improved potato digger for cultivation in valleys, terraces and hill slopes have been developed and introduced to the farmers. Light weight power tiller operated potato digger was evaluated and introduced to the farmers for digging of potatoes compared to manual hand hoe/spade digging. Anthropometric and strength parameters 350 number of agricultural workers (female and male) were measured and analyzed for input to ergonomic design of tools and equipment. Different types low cost portable solar dryers were designed and developed for drying of agricultural and horticultural products. 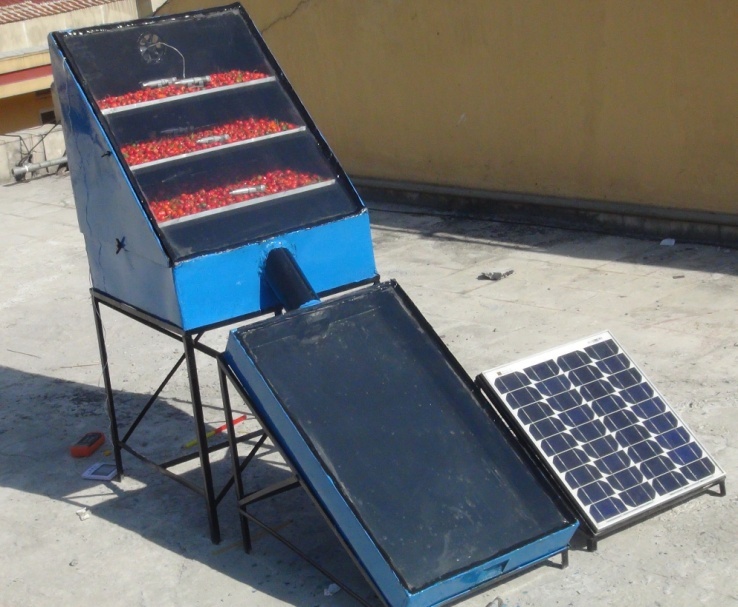 The mixed mode photovoltaic powered forced convection solar dryer of 10 kg capacity for agro industrial application in NEH region was designed and developed. 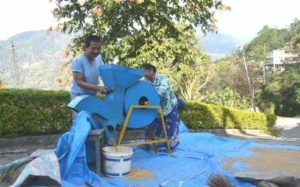 The improved solar dryer found promising to dry chilli (cherry pepper), ginger and large cardamom was introduced to the farmers/households in Sikkim. 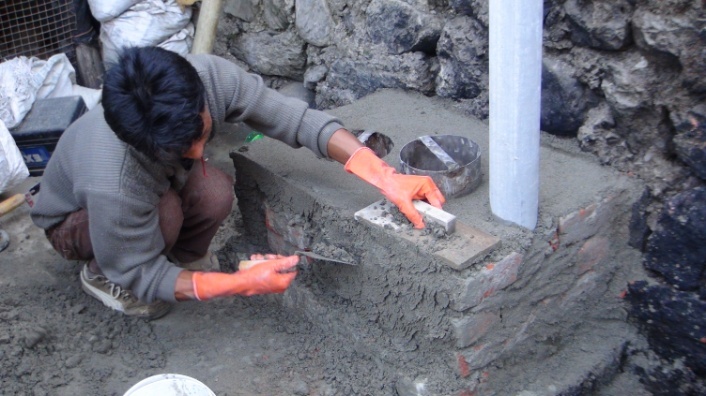 1051 numbers of double pot energy efficient improved biomass cook stoves were installed in different clusters of villages in Sikkim and performance of improved cook stoves were evaluated and compared with traditional biomass cook stoves on premises of farmers/households. The average thermal efficiency of improved biomass cook stove was measured to be 29.96% compared to the traditional cook stove of 10.13%. 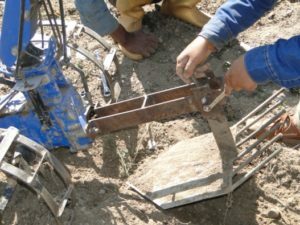 Small capacity large cardamom dryer using biomass gasifier based cook stove was developed and evaluated for saving in time and fuel wood consumed compared to the traditional drying in “bhatti”. Cyanogenic glycoside content in Mesu- a fermented bamboo shoot consumed in Sikkim was analyzed. Pressure cooking for 20 minutes is found to reduce to cyanide content from 600 ppm to 10 ppm which would be safe for human consumption. Composite flour noodles and pasta using underutilized cereals of NE region was developed. 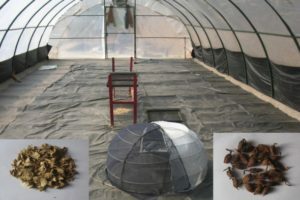 Drying methods (vacuum drying and cabinet tray drying) was standardized for preparation of garlic flakes. Vacuum drying was found more efficient than cabinet tray drying. Different drying techniques were developed for cherry pepper (Dallae chilly). Studied the prediction of lean season discharge of springs to manage efficiently the water needs of the mountain inhabitants. Water use efficiency of tomato under gravity fed drip irrigation and mulching in low cost bamboo structured naturally ventilated poly house was worked out to find the effectiveness of drip and mulch on yield/yield attributes. 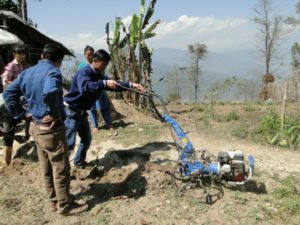 Irrigation requirement of 128.97 mm (43.27 litres per plant) was found out to be adequate during the cropping season (Feb-June). 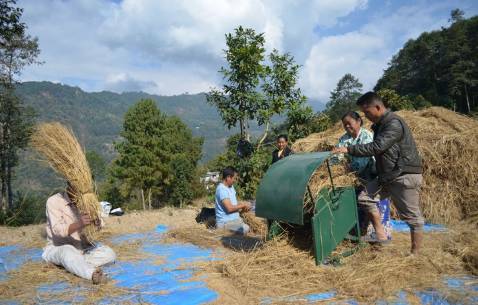 Micro climatic parameters within the poly houses of different sizes and shapes in east Sikkim were evaluated and compared to the ambient condition. These micro-climatic parameters would be useful for standardization of the design of poly houses suitable in Sikkim for cultivation of orchids. Natural resources map viz., terrain map, stream maps, land use maps of South Sikkim district were prepared. Water resources management strategy were formulated for Sikkim and circulated to all line departments concerned. 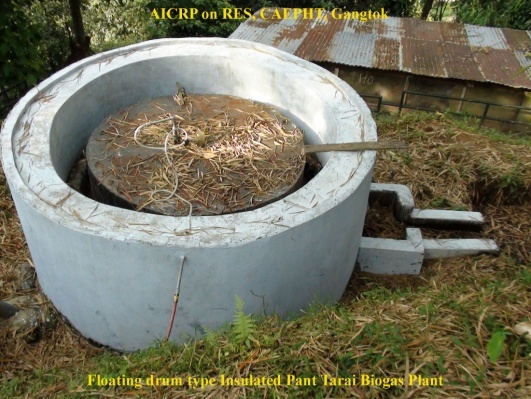 The experiments were carried out to produce biogas from a floating drum type portable biogas plant volume capacity 0.25 m3 for outdoor climatic condition at College of Agricultural Engineering and Post Harvest Technology, Central Agricultural University, Ranipool Gangtok, Sikkim, India. Study revealed that the food waste is the best source of methane generation due to its biodegradable capacity Biogas production from different food wastes could be enhanced by adopting biotechnological applications. It is also revealed that the small capacity kitchen waste biogas plant is most suitable in NEH region. It is concluded that the floating drum type 0.25 m3 portable kitchen waste biogas plant working successfully in the NEH region. The process for development of RTS beverages using ginger and other fruit juices has been standardized. 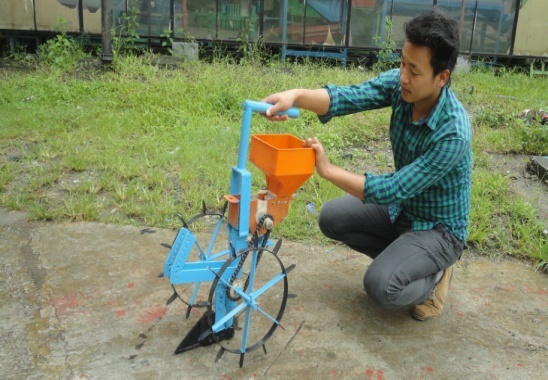 Soil moisture characteristics curves were developed for different types of soil in Sikkim. 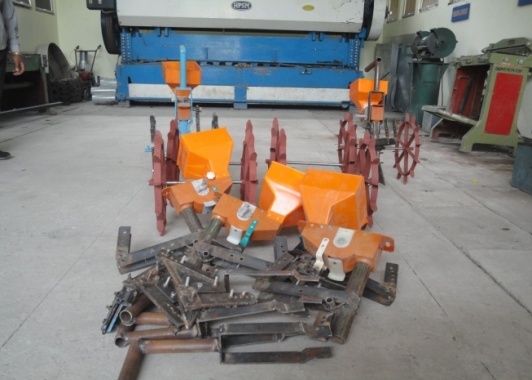 Though the field measurement of infiltration rate is time consuming and very difficult in the hilly terrain, an attempt has been made to estimate the infiltration rate from the widely used infiltration models namely Horton, Philip, Kostiokov and Green Ampt infiltration models. Out of this, the best fitted infiltration model will be identified for the prediction of infiltration rate in the east Sikkim.